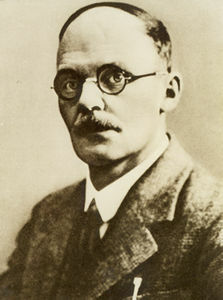 After schooling at Munich and Erlangen Geiger became an assistant to Ernest Rutherford at the University of Manchester. There, he devised equipment to count alpha particles. In 1928 he co-invented the Geiger Counter, a much more portable machine to count alpha particles, with fellow physicist Walther Müller. He served as an artillery officer during WWI, and during WWII participated in the German attempt to build an atomic bomb.